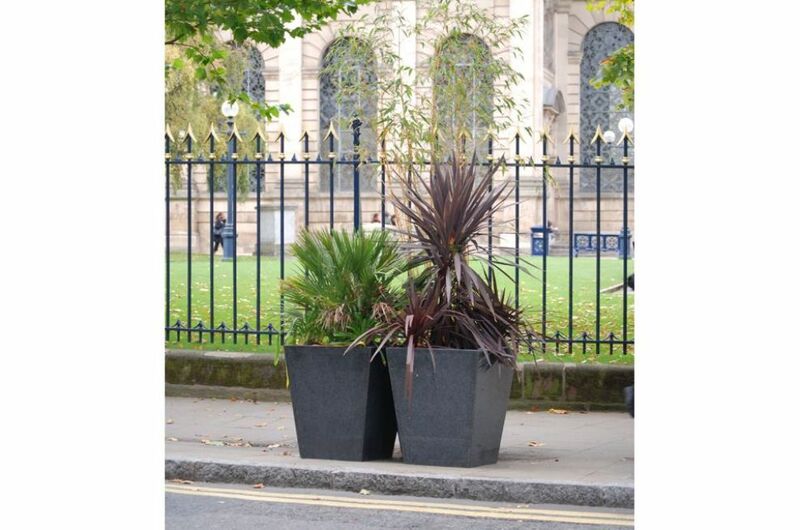 IOTA has supplied large contemporary planters for the downtown shopping district of Birmingham, as part of the City Council’s ongoing urban regeneration programme. 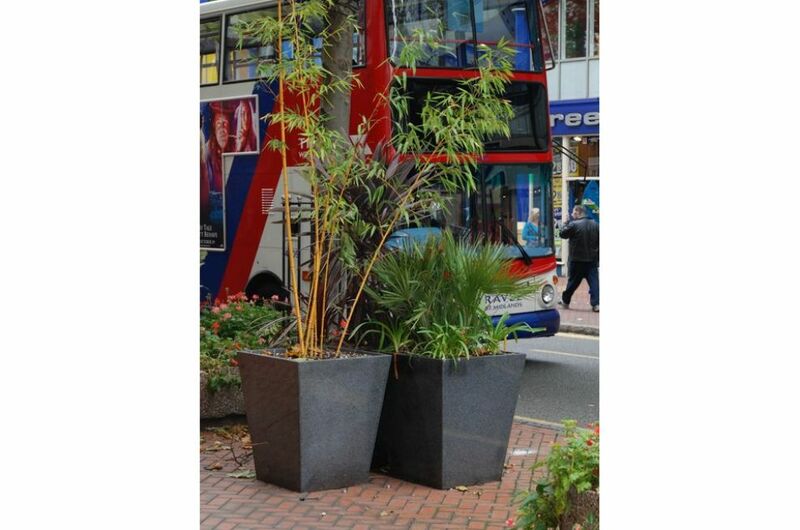 IOTA’s granite planters were chosen for their solid construction and considerable weight, making them particularly appropriate for municipal areas. 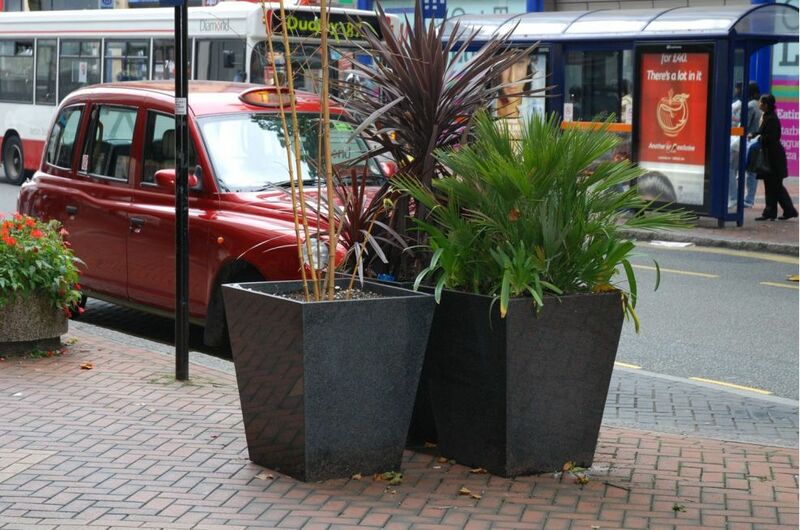 IOTA’s planters are the principal form of soft landscaping used within the scheme, alongside established tree planting. 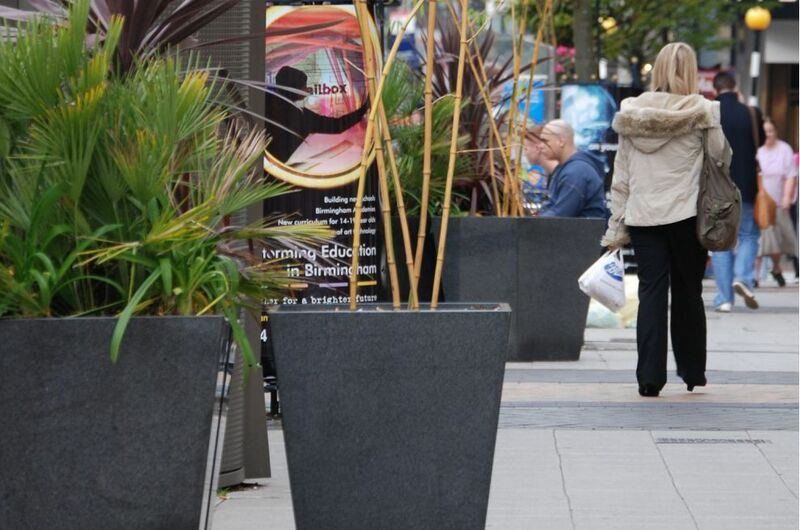 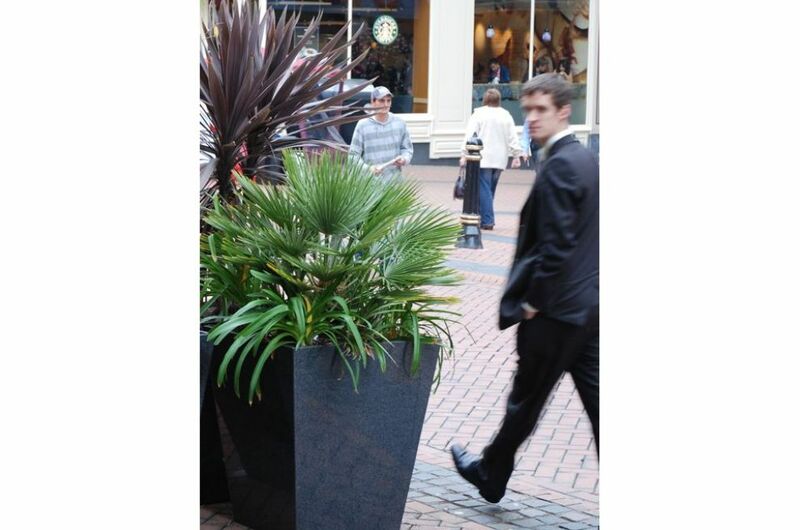 The planters are sited throughout the district – along the pedestrianised zone of New Street to the south, north up Corporation Street, and west to the Cathedral Square. 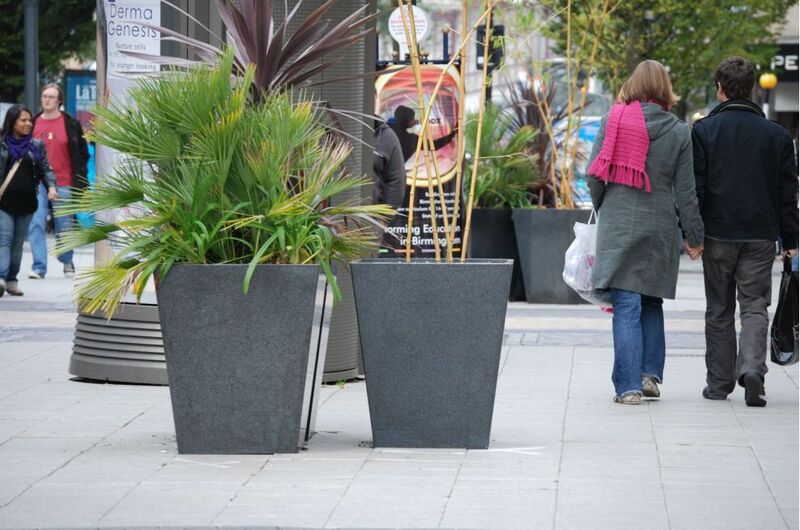 The scheme uses 60 of IOTA’s largest stock planter, the 160 litre capacity granite Taper 800. 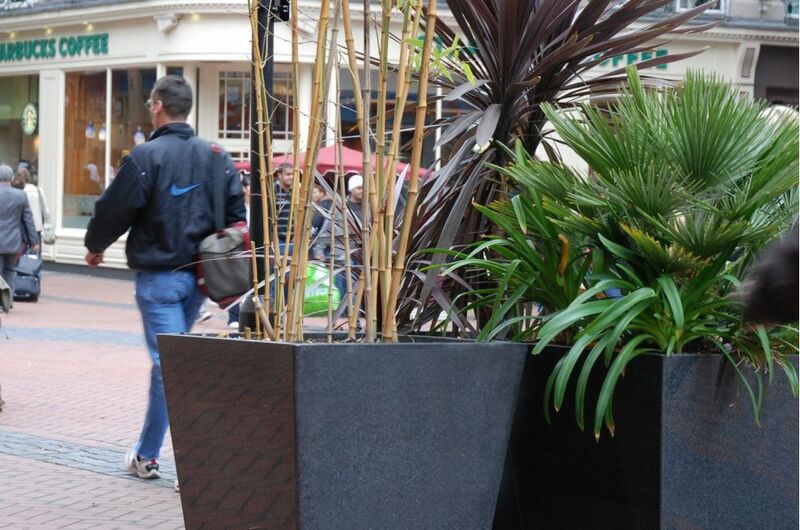 The majority of the planters are clustered in offset groups of three, and are planted seasonally to provide lasting colour and interest. 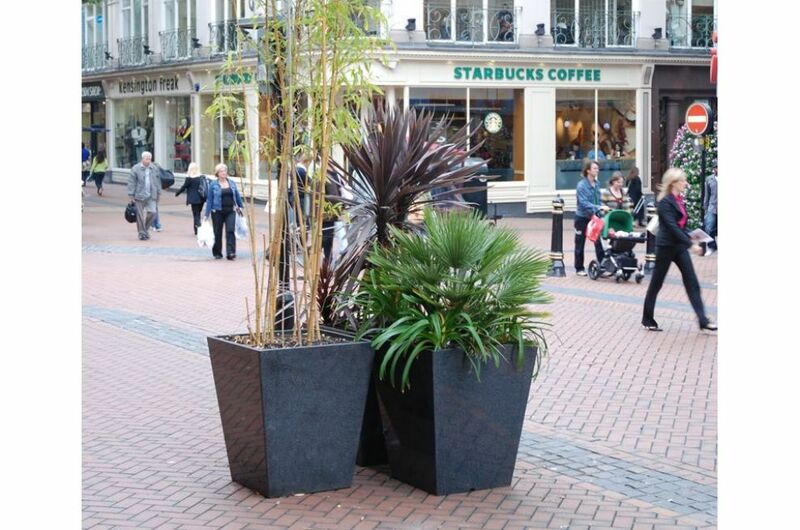 In addition to being decorative, the planters also serve a wide variety of functions within the landscaping plan – such as directing pedestrian flow; identifying intersections; and signposting key locations (e.g. 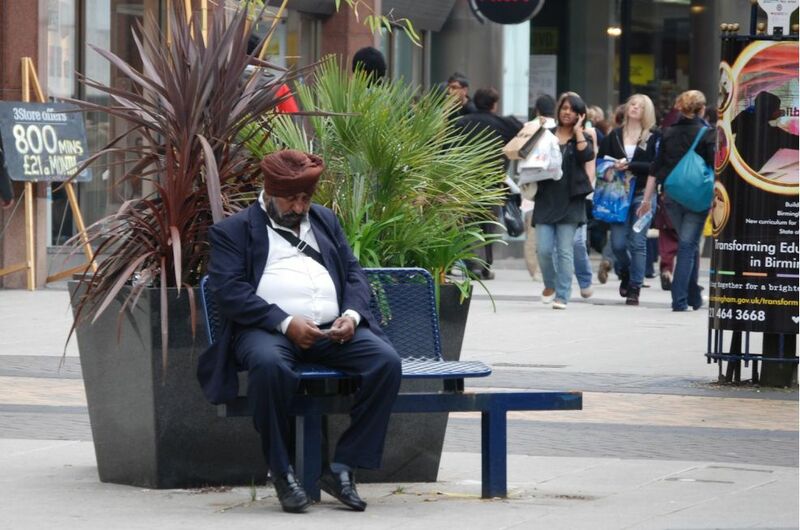 seating areas and cab ranks).